Product information - WAHL Double Sided Brush - Dual-sided grooming brush untangles mats and snarls, the other brings out her healthy shine. Ergonomic design gives you better control and allows for a comfortable non-slip grip. Brush helps to untangle mats and snarls. 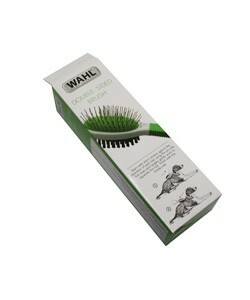 grooming brush maintains natural healthy sheen. 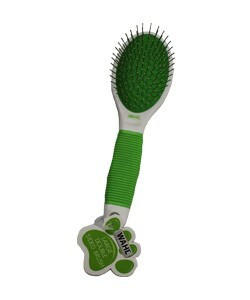 keeps groomer comfortable with rubber sheathed handle.